The UK care sector is diversifying. Changes to government funding have resulted in established independent business owners unable to balance their books, leading to an unprecedented exodus. In September 2017, nurseries across England became eligible to receive a payment from their local authority which entitles 2-year-olds to 30 hours free childcare a week. The amount of funding varies depending on the nurseries location, and in some cases, is unsustainably below the costs of providing those hours. Using the hours as loss leaders, many nurseries seek to make up the difference by adding on fees for lunches and upselling extra hours to make them viable, but parents who have been promised ’30 hours free childcare’ don’t always comply because they can’t afford it or don’t need these additional services. Those in the adult care sector – which caters for the manifold needs of the sick, disabled, vulnerable and elderly – are experiencing similarly unhappy fates at the hands of government funding. In a climate where an individual’s needs can change suddenly, but the rate of funding review doesn’t match those changes, both the families and the care providers can have the carpet of care funding pulled from beneath them at any time. Needless to say, determining eligibility for funding is complex for the families and providing the right care is challenging for the providers, who again struggled to maintain a high level of quality care at the government’s low-level rate of pay. says Jade Tovey, Head of Intelligent Care - the UK’s only specialist care business broker. “We have worked with many larger groups and find that they offer high prices for nurseries, care homes and agencies. If this trend continues the market will become more commoditised and the smaller businesses will die off”. “We always encourage independent care business owners to explore businesses for sale in their sector and consider expanding their portfolio, as the personalities and characters of the smaller businesses are the very assets most families consider when choosing care options for their loved ones”. There has been growing pressure to provide more funding to local councils so that they can buffer the shortfalls of central government’s systems. While this debate continues the crisis ensues and those in need of care today cannot depend on tomorrow’s decisions. “We have partnered with Intelligent Care to ask those working in the care sector today to share their frustrations and put forward their solutions before the situation escalates so that government-funded care is not available for those who need it because businesses cannot afford to provide it. 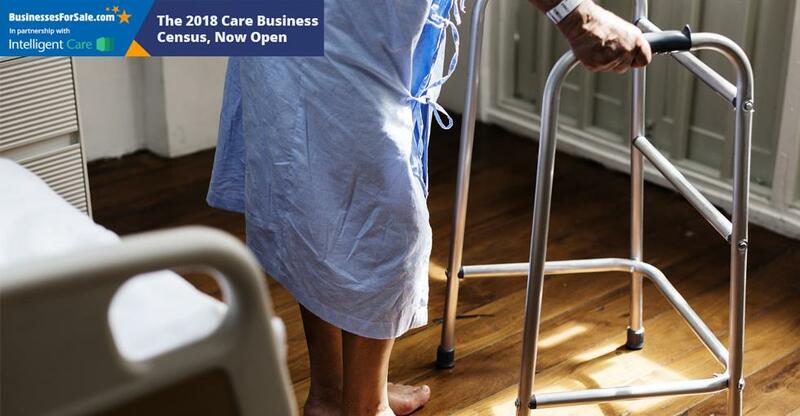 Business owners within the care industry are being asked to share their experiences and put forward suggestions. Our short survey will take just five minutes to complete, your answers may make the difference when we take the findings further.